Perhaps they can start with stopping with the council putting up those metal pink signs everywhere. 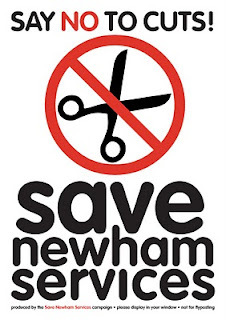 Newham should merge with neighbouring Boroughs to save costs. There are 32 councils in London. A few super councils would be a good thing. Do we really need 32 mayors? 32 director of education? 32 directors of housing?